FAIRFAX, Va. — A new study conducted by researchers at George Mason University has unveiled that Virginia citizens should never be allowed to drive in the snow, regardless of circumstance. The experiment consisted of observing people from various parts of the state attempt to drive in snowy conditions, and according to lead researcher Michael Fernandez, “in every instance, the subject in question performed beyond poorly on the test roads given.” The results showed practically no variation, despite many different variables (such as speed, vehicle type, age of driver, etc) in place. “Our findings ultimately concluded that the people of Virginia should never, ever, ever, ever attempt to drive in the snow, no matter how important happy hour is to you,” explained Fernandez. 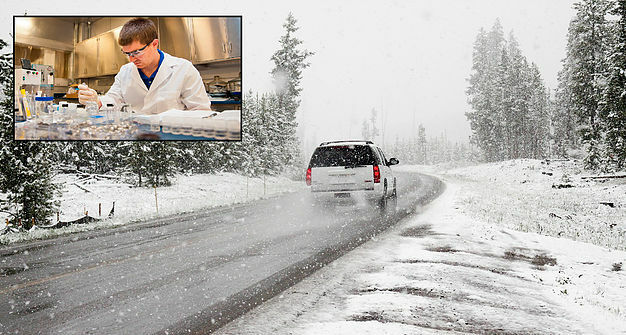 “We even had one instance of a subject in a compact SUV swerve off the test course and almost crash into the lab, and we only had the weather setting set to ‘flurries. '” The conclusion of the experimented recommended that citizens stay in their homes, lock their vehicle keys in a safe, and wait out any possible threat of inclement weather. Don’t want to do your Christmas shopping in the snow? Check out our online store for totally awesome 2019 calendars and more.